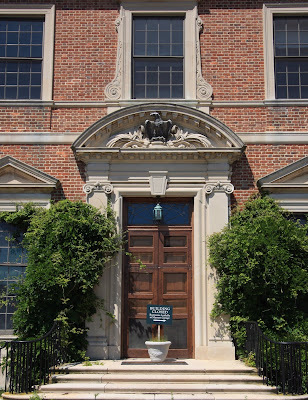 The front door to Marshall Field III's estate 'Caumsett' in Lloyd Neck. I love looking at your blog. All the green grass, trees, flowers, beautiful wrought iron and estate homes are fantastic. Thank you for sharing them.